The Castor apartment, located in the new 'La Canadienne' residence, is one of the most beautiful constructions of these last years. 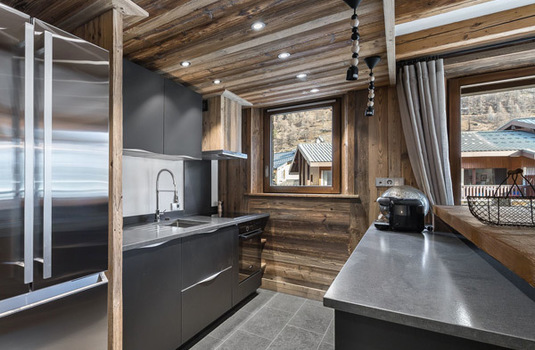 On the second floor of the building, the apartment lies on 120 square metres on one floor. Located in the centre of Val d’Isere on the 2nd floor of the luxurious 'La Canadienne' residence. 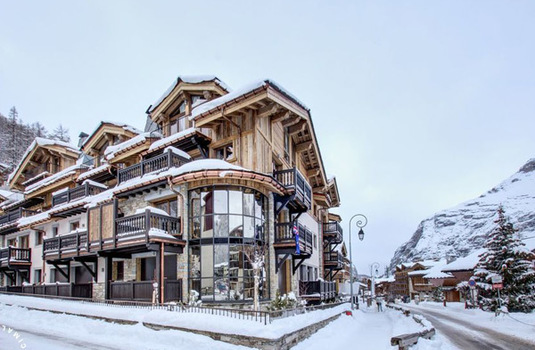 This is one of the most stunning new ski apartments in the Espace Killy. 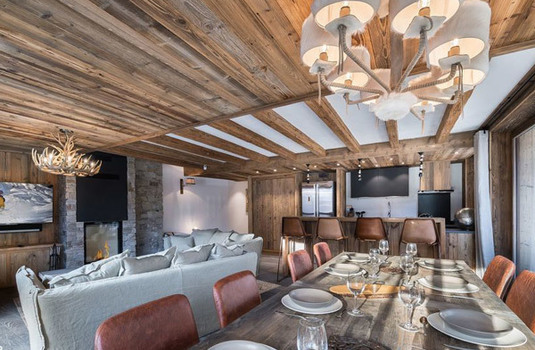 Spread across 120 square metres on one floor, the three double en-suite bedrooms and opulent living and dining space are the perfect setting for a ski holiday this season. 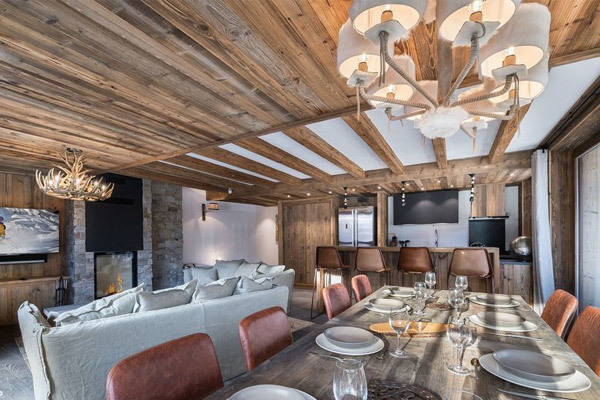 The dining area is open plan and fitted with both a kitchen and lounge with a big sofa and modern ottomans in front of the fireplace and TV. 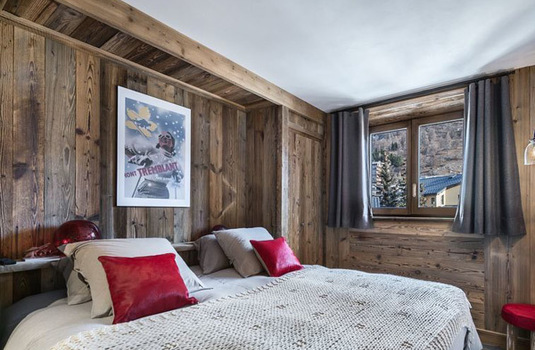 On the walls, the cladding in old wood is decorated by elegant paintings and photographs of ski themed art. Price based on per person rate with 4 sharing a standard room.